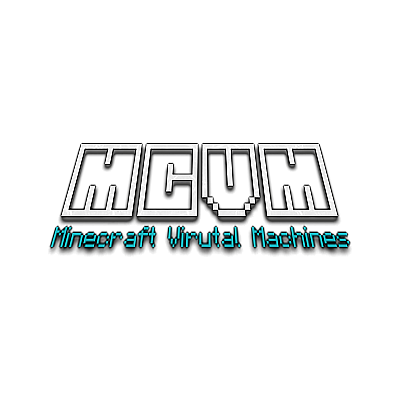 In this mod, you can create computers that can interact with Redstone (actually anything, since there is a CommandParser API on which you can create your own commands) and run real operating systems like Windows or Linux. Why can't I download Redistributable!!! What is the Error you are getting? What is your OS? Does the mod use KVM when using the mod on Linux? Or is there some KVM toggle? Take a look into the "Pages", there is a guide on how to enable it. 3. allor more than 1GB of RAM. The RAM items are already stackable but the VM seems to not start. Thank you very much for this nice work. 1. The VMs already have 4 cores by default, and it depends on the host cpu. 2. It is already possible to start up to 100 VMs at the same time (Of course only if the resources are present on the host machine. 3. Items should not be stackable inside the computer, this might be a bug. The 1GB is an intentional limit since people might not realize that 1GB in a VM means 1GB usage on the host. 4 cores, okay. But I think it would be better to let the user set the amount of cores. I have a AMD Ryzen 7 2700X with 16 Threads and 8 Cores and 16 GB of RAM, and I am not able to start a second computer. Yes this might be a bug, I can stack the ram modules in the computer block. It would be nice if you can increse the ram limit to two GB. Or add a config option to set max RAM and max cores. Hello, I wrote a Chinese language support file for the mod for I think you may need it. Just feel FREE to use it. Thank you for the translation, I will add it to the the next update. The problem with OS X is that I don't have a host system to try it on, if you know of any why to be able to test it, feel free to contact me. Can you make your computer's RAM bigger in the next update? ... get this mod, make a computer, download forge, get this mod, make a computer, download forge, get this mod, make a computer, download forge, get this mod, make a computer, download forge, get this mod, make a computer, download forge, get this mod, make a computer, download forge, get this mod, make a computer, download forge, get this mod, make a computer, download forge, get this mod, make a computer, download forge, you get the just of it. i dont get it. could you please explain it to me? But why Linux doesn't work? Does it work at all on Linux?